What message do you have to share? What can you create out of metal, string, old maps and lost keys? Where will you hide your special message in your artwork? Who will find it? Join us for the community read art project at the Roe Jan Library. What: learn a new art form — assemblage — using found items, just like the characters in The City of Ember had to work with. Like the characters in the book, we will explore how upcycling and re-using can help us discover whole new ways of seeing our world. 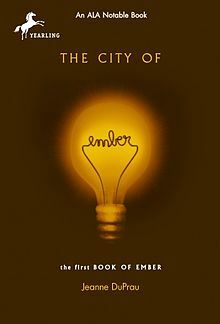 For: Taconic Hills students in grades 4-8 who are participating in reading The City of Ember as part of the Community Read project. Free! Open to students grades 4-8 and their families. Special bonus: free take-home art kits with additional art supplies are provided to all participating students to continue the learning and creating at home. Pre-registration is recommended to reserve your take-home art kit; call the library at 325-4101. Presented and taught by the faculty of ASCC in collaboration with the Roeliff Jansen Community Library, Claverack Public Library, and Philmont Public Library.